Home blog SEO Tips web Template Selection Effect on SEO? Template Selection Effect on SEO? It feels so nice I can re write an article here. Talking about my topic this time on SEO then it is better if we know in advance what SEO is. Searh Engine Optimization or better known as SEO is a process or technique to improve the performance of a website in order to have a high ranking on the search page Search Engine, commonly called SERP (Search Engine Result Position). For a site owner, be it a blogger or online business is certainly eager to get traffic or visitors in large numbers. Because it is a concept rather than an online business is CTPM (Content, Traffic, Presale, Money) which means that there is no content (web pages) allowed for visitors to come (traffic), the presence of visitors, the business process can be done, ranging from the marketing of products, services , etc. Is ultimately, the processes that lead to the above income (money). There are so many stages in doing SEO for your blog or website. But I will talk about here is the basic stages which are commonly overlooked. "Template", most of the blog or website owner to choose a template that is only good in terms of appearance but less SEO friendly. The purpose here is SEO friendly template that you use are compliant with search engine standards. This means that each element in your template, be it HTML script, description, heading text, etc. that are in accordance with the standards of the search engine robots. Robot search engine works by exploring the whole site in cyberspace and then crawl the site page by page. After crawling a page to read all the posts (text) then the robot will sort out the important parts and then stored in a database so that the search engines can be called at any time by using a specific query. Of course, the process requires a very complicated algorithm. So I guess the use of templates SEO friendly is very important in terms of SEO. Usually, SEO Friendly template that is already doing well emphases using H1 heading for article title, breadcrumb, description, and many others. Later the emphases by the search engine robots will be easier to recognize the structure of web pages and which part is considered important. 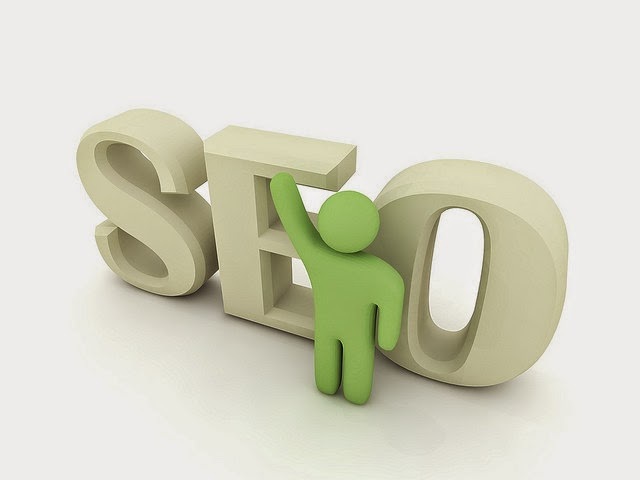 Then how is the SEO Friendly template criteria. I will mention some of the criteria along with an simple explanation. 1. Articles on the left and a sidebar on the right side. Many say that the search engine robots to crawl the pages of a site using western-style, which means the crawl begins from the left, right and down. 2. The most stressed were given H1 heading tag. Usually part of the emphasis lies on the title of the article, so give the H1 tag for each title of your article. "Home Gadgets/Internet/Template Selection Effect on SEO? " To breadcrumbs itself is to facilitate in identifying the structure of a site. Loading time in opening a site it points to consider, in addition to dealing with visitor satisfaction. Loading time can also affect the index of the search engine robots. Let's just get on the search engine robots to index your page, but if your blog has a long loading time of the robot will be exhausted and forced to leave your site without reading the entire content of the page. In each site, there must be the name of outgoing links and incoming links. But try to minimize outgoing links to other sites, because if too many outgoing links can lead to leaks link. To get around this usually SEO friendly template makers have given the tag rel = "nofollow" to all outbound links. So with that, the search engine robots will not index of outbound links from your site. After seeing a bit of SEO Friendly template criteria above I hope you have had a proper description for your template. You can do on-page optimization of your site so that it becomes more SEO Friendly or you can download the SEO Friendly theme that has been made ​​by others. Many websites that provide download link for SEO Friendly template. Well I think so this time I am on the topic of "Template Selection Effect on SEO?". May be useful for you, if you have opinions, criticisms, or suggestions to my writing. You can write down in the comments field. But remember !! I only accept criticism and constructive suggestions. Thank you!